The International Journal of the Inclusive Museum addresses the key question: How can the institution of the museum become more inclusive? The journal brings together academics, curators, museum and public administrators, cultural policy makers, and research students to engage in discussions about the historic character and future shape of the museum. 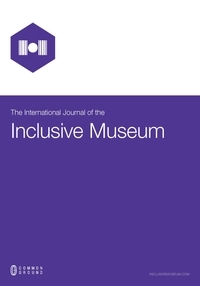 The International Journal of the Inclusive Museum is peer reviewed, supported by rigorous processes of criterion-referenced article ranking and qualitative commentary, ensuring that only intellectual work of the greatest substance and highest significance is published. The International Journal of the Inclusive Museum currently has a 17% acceptance rate, based on 2017 statistics. Review scores are based on a clearly articulated rubric, and the result is a peer-review process that is scrupulously fair in its assessments, while at the same time offering carefully structured and constructive feedback that enhances the quality of the published article. Each year a top-ranked article from The International Journal of the Inclusive Museum receives the International Award for Excellence. We are committed to expanding the visibility, reach, and impact of research from the The Inclusive Museum Research Network.The International Journal of the Inclusive Museum can be found in numerous databases, accessible via the libraries of institutional subscribers, and in the CG Scholar Bookstore for current Research Network Members. We take seriously the "peer" of "peer review." Decisions of what is published come from reviewers that are Members of the Research Network ensuring the knowledge is validated in horizontal social knowledge relations.